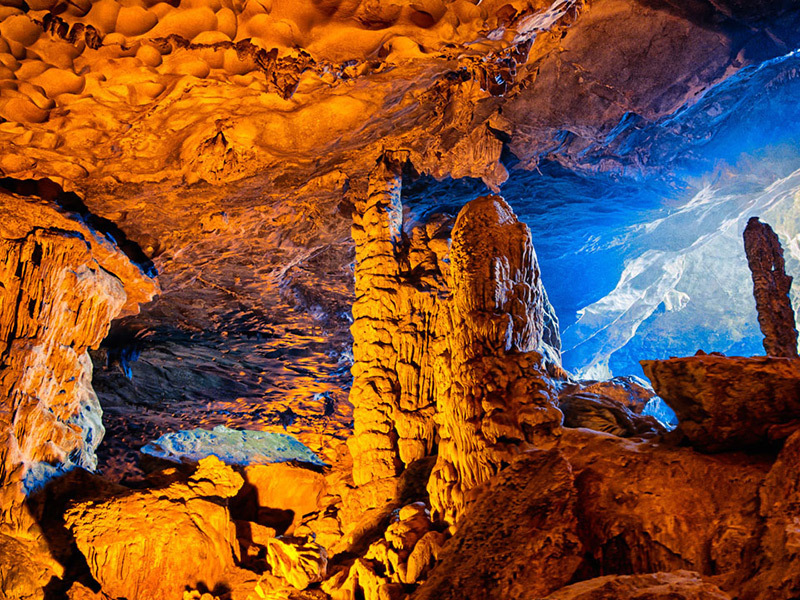 Depend on their own itineraries, travelers can have several chances to pay a visit to Thien Cung cave – the most Halong Bay’s gorgeous cave as well as other fascinating caves such as Surprise cave, Bo Nau cave and Trinh Nu cave. If you want to experience having a romantic dinner inside a cave, don’t hesitate to book with your cruise. As much for the romantic dining set and stunning seafood, the dinner will be a memorable experience, ideal for a birthday party, a wedding anniversary and honeymoon. You should want to share this wonderful occasion with your beloved ones. In your cruise trip, kayaking will be an interesting part. 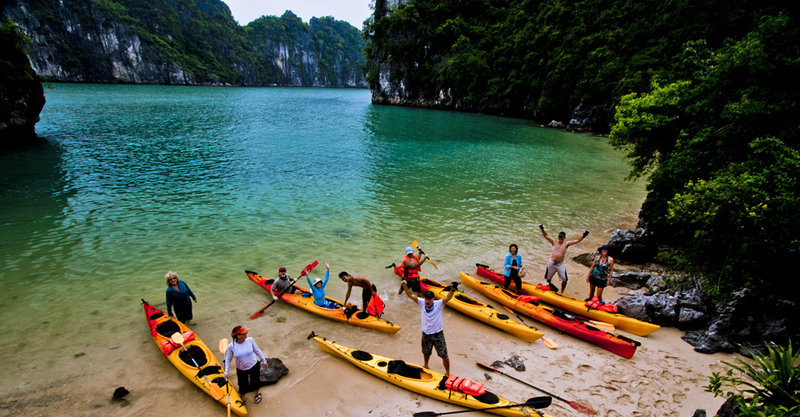 Depending on your rental, your cruise will rent you a kayak boat and essential gears with different length. You can take kayaking at shallow water area when weather condition is permitted. Immerse into the splendor of the bay by discovering the stunning inlets and grottoes nearby, contrasting against emerald-colored water. 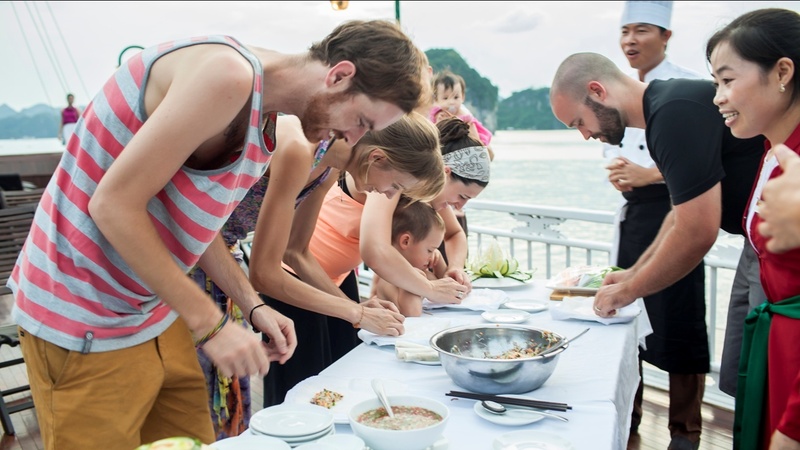 Foreign tourists can find Vietnamese cooking class, which is definitely a worthwhile experience to get offered by most of Halong cruise ships. Joining in this class, they will certainly be taught how to make popular Vietnamese dishes and even lesser known dishes such as rice balls, rolled noodles, vermicelli soup and spring rolls. It is also a chance to understand how rich and consistent Vietnamese cuisine is. Taking home some flavors of Vietnamese food will not be a bad idea. 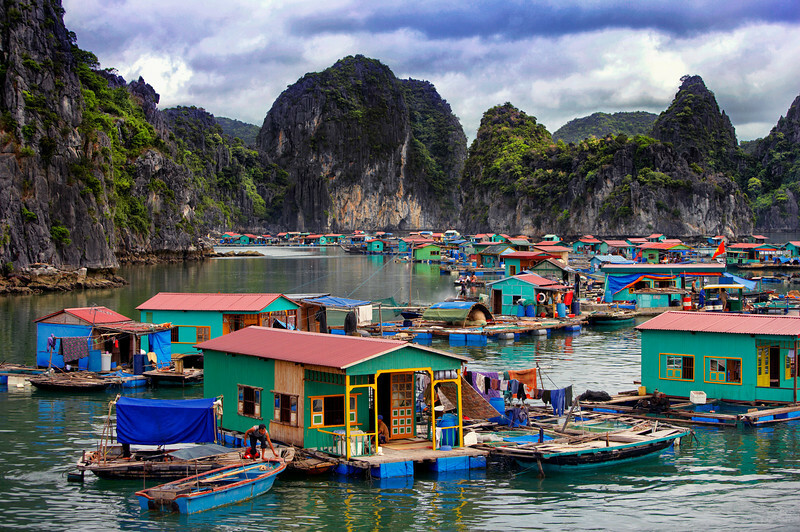 At the fishing village, there are originally about 50 households. However, recently, the fishing village board up to cater to travelers and many households have also gradually shifted to tourism due to the development of tourism. During the visit to Ba Hang fishing village, you will definitely be surprised and impressed when witnessing the village life’s simplicity. In the fishing village, all the members of a family live harmoniously together in the houses which are only about 5-10 square meters wide with all simple household affairs. Even though experiencing a bit hard life, local people still welcome travelers with some of the friendliest and warmest you will ever meet. It is basket-shaped boats, the peaceful atmosphere and the charming mountain scenery that make Ba Hang fishing village much more attractive. When the sun sets, you will have an exciting experience when being self-drop operation nets. 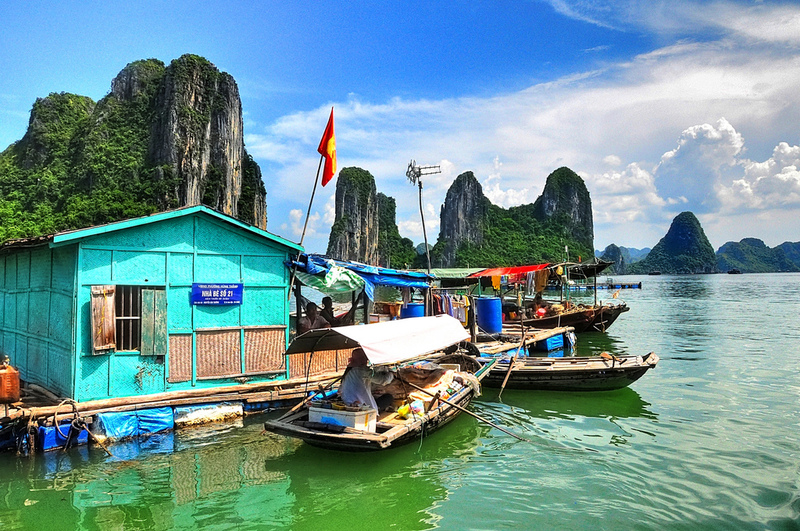 Next day, to discover more the beauty of Halong Bay, you can take part in boating and traveling surround of the island.